Following your day of experiencing all the amazing attractions and adventures, your group will need a place to rest and relax in the Roanoke Valley in Virginia&apos;s Blue Ridge. The region offers something for every taste and budget, meaning you&apos;ll have no trouble finding the perfect place to stay in the heart of the Blue Ridge Mountains. Whether you&apos;re looking for a spot conveniently located near the interstate, or historic property within walking distance of local attractions and restaurants, all the options are available for your group in Virginia&apos;s Blue Ridge. Many properties can also offer special receptions and package options for tour groups of various sizes. Between the first-class amenities, outstanding service and hospitality, and scenic views, your group won&apos;t want to leave the Roanoke Valley. 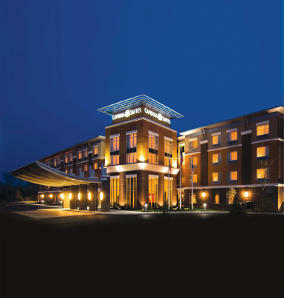 The hotels in the region will work hard to provide your guests an enjoyable experience that exceeds expectations. 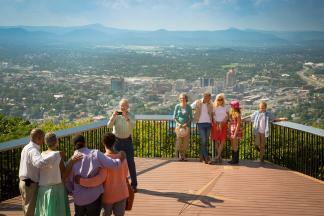 The following is a list of group-friendly hotel options in Virginia&apos;s Blue Ridge.